One of the main goals of the Public Disability History Blog is to bring disability history to the public. Although it is of course true that a lot of academic research doesn’t get translated into accessible language, to say that the public isn’t exposed to disability history is just a bridge too far. Indeed, there are numerous examples to be quoted of non-academics who are interested in the history of disability and/or are exposed to it. Often people will not consciously pay attention to the presence of persons with disabilities in the stories they read, tell themselves or watch. But there are definitely also examples to be mentioned where disability is willingly interwoven in the narrative that was invented by someone and made public through the publication in book-format, the broadcasting of a television show, the curating of an exhibition or just through some chit-chat in a local bar. During the previous Summer break I coincidentally came across one example of disability-history-already-being-public, the novel Deafening written by Canadian author Frances Itani. The scene of the book is that of the first decades of the Twentieth century. Itani tells the story of Grania O’Neill who became deaf due to the consequences of scarlet fever, went to the Ontario school for the Deaf and married Jim – who is mobilized during the war as a stretcher barrier. I was impressed by the detailed accounts of the school experiences and the lived-through descriptions of Grania’s emotional responses to the things she encountered during her rich life. 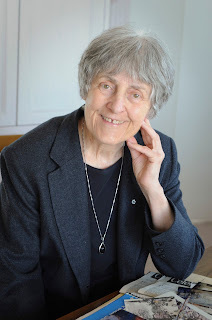 And so I decided to contact the author in order to know a bit more about how the book came about, what kind of research she did, what the author wanted to achieve with the book and how the (Canadian) Deaf people responded. Pieter: Where did the idea for the book Deafening originate? Frances: I started research for this book about 1996, while finishing another book, Leaning, Leaning Over Water. I was driving through Belleville, Ontario at the time and as I was passing the grounds of Sir James Whitney School for the Deaf (previously known as the Ontario School for the Deaf), I decided to pull in to the grounds of that very old school and present myself at the reception desk. After I explained that my late Deaf grandmother had attended the same school at the turn of the last century (I did not know the exact years, at the time), I was offered a tour of the grounds and various buildings. During that initial tour, I knew I was going to write a book with that setting. I didn't know, at the time, what sort of book it would be, but I knew that I would be back for more research. That was the beginning of a six-year journey: researching and writing Deafening. Pieter: Were there any other things – apart from having a deaf family member - that urged you to write this book? Frances: Well I loved the surrounds of the school in Belleville, the building from the 1870s, the certainty that such an historic place, which affected the lives of so many thousands of children, would also hold their stories. I was intrigued by one room stacked to the ceiling with unsorted boxes containing newspapers and ledgers and artifacts. And by the dormitories where my own grandmother would have slept when she was a little girl. I walked through bathrooms that had rows of little sinks lined up. And I explored the beautiful building that was once the old school hospital, with treatment rooms below and rooms for beds upstairs, boys on one side, girls on the other. I was made aware of the fact that the school had its own barns, gardens, farm, animals, ice house. It even had its own railway stop and steamer stop on Lake Ontario. Pieter: In what way was your deaf relative integrated in family life/community life at that time? Frances: My grandmother did not attend school until she was 9 or 10 years old. Obviously, she was kept at home during her earliest years. Perhaps her parents did not want to separate from her or send her away to residential school. I don’t know the answer to that. Her parents owned a hotel in the town of Deseronto, Ontario, and they sometimes sent her to her aunt for entire summers while they were busy running the hotel. When my grandmother did begin to attend residential school, she seemed to thrive. I found school records showing that she had been put in the “Oral” stream. She seems to have been trained to lipread and to use her voice while at that school. (That school, like all other residential schools of the period, went through long periods when one method was preferred over another, when Signing was banned, when Speaking was mandatory. When I knew her, much later of course, my grandmother was a lipreader. She had 11 hearing children, and my mother, who is now age 97, was the eldest of these. It was only as an adult that I learned that my grandmother had also learned Sign Language, but shame was attached to using it in public in the early 1900s. No one in her family knew Sign, because she did not teach it to her children. Her husband (my grandfather) was a hearing man, and they communicated by speech and by lip-reading. Pieter: How did the Canadian Deaf community respond to your book? Frances: My book, Deafening, was well received and well supported by the Deaf Community. In fact my publishers in Canada and the U.S. gave out copies to every person who attended the Montreal conference of the World Federation for the Deaf in 2003. My own ASL teacher (actually I had 3 Deaf teachers and 1 hearing teacher over a period of about 3 years) attended my book launch of Deafening, along with many others from our city’s Deaf community. I received positive reviews in magazines published by Associations for the Deaf in various countries, including the U.K. and I visited several schools in Canada, USA, Scotland, Ireland. For every event I did while touring for that book, I had Sign Language interpreters, including in Ottawa, Toronto, Calgary, Vancouver, Victoria, Rochester, Gallaudet University and all of the small towns in between. Deaf and hard-of-hearing people were welcomed and they did attend. 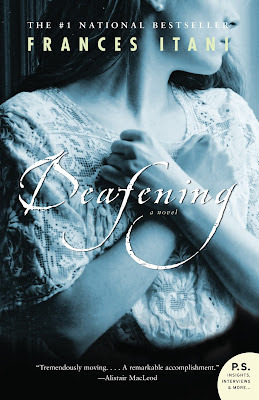 Also, Deafening has been published in 17 countries so I was interviewed, by both Deaf and hearing reporters, in Holland, Belgium, Ireland, USA, to name a few. Since that time, for all subsequent books I have launched in my own city of Ottawa, I have sent invitations to the Deaf Community and I provide an ASL interpreter for the public event. This was the case for the new book I launched last week, called That’s My Baby. That novel is the third of the trilogy: Deafening; Tell; That’s My Baby. Pieter: How did you prepare for the book in general? Frances: I had so much to learn. First, I had to learn ASL so that I could do my own interviewing. I wanted to meet with the Deaf Community in Ottawa, so I became a volunteer at the Ottawa Deaf Centre and worked there for several years and attended the celebrations and fundraisers, as well as serving as a Board Member for the Centre. Meanwhile, during my research, I was travelling back and forth between Ottawa and Belleville, and I was reading 20 years of newspapers published by the Ontario School for the Deaf, starting from about 1898 up to 1918. That helped with the history of the school and provided access to the actual writings of students at that time. I even found writings by my own grandmother in those papers. I was also reading constantly, books written by Deaf authors and books written about the Deaf community. Oliver Sacks, in his book, Seeing Voices, which came out about six years before I began my research, provided an extensive bibliography. I read most of the books he recommended. I also attended national conferences and I interacted and practised ASL every opportunity I had. While I was doing all of that, I also had to learn about World War One, because the book stretches to encompass that war. So I visited the battlefields of the Western Front in Europe, and spent many months reading about WWI and visiting the archives of the Canadian War Museum and Library and Archives Canada. Pieter: Did you explore particular archives dealing with deaf history, and if so, which? Frances: Well, as explained above, I read newspapers from two decades printed right at the school. Every residential school during that period would have had its own printing press. I was lucky that those papers still existed and had been preserved and bound in ledgers. The news and other entries led me to other documents, more books, more archival holdings stored right at Sir James Whitney. Of course I used the public library system, as well. I discovered one rare book from southern USA that was sent to me via inter-library loan, and it contained early early signs, which were so interesting. The language, ASL, is constantly changing, as all languages do. So I was very excited to find this early document directly from the period I was writing about. That meant that the signs I described were accurate for the period leading up to the First World War. Pieter: What according to you should be the power of literary fiction? Frances: Well first of all, story is important. But fiction encompasses many things. The stories of fiction resonate for the reader, awaken feelings, help us to understand human interaction, history, imagination; they allow us to experience vicariously what others do and experience; they allow us to feel compassion, joy, sorrow, anger and all of the emotions the characters experience. Fiction broadens our understanding of the human condition. Often, fiction reflects the story of ourselves as individuals, as communities, as nations. Pieter: Is the book Deafening the only book of yours that contains characters with disabilities? If not, can you briefly enumerate what other played a role in your literary work? Frances: Many in the Deaf community feel that deafness is not a disability and you would be aware of that. My entire extended family did not describe my Deaf grandmother as having a disability and that was because she could do everything that the rest of us could do and joined in with everything that everyone else did. However, there is something to add to that: she was protected, driven from place to place, never really left alone, sheltered, in fact. During her lifetime she did not have email or computer or TTY. She had to rely on her family to speak and listen for her during phone calls. So she couldn’t do EVERYthing. We just did not call this a disability. If she had not had so many loving family members to take care of things for her and with her, this would have been a very different story indeed. Other novels of mine do contain characters who have been incarcerated in camps during WWII and that experience left lifelong scars (Requiem); characters who have PTSD (Tell and That’s My Baby – and that presents enormous day-to-day problems). Many conditions are carried around INSIDE my characters; as in deafness, these conditions are not apparent on the outside. Pieter: If you would be forced to name one reason why one should read the book Deafening how would you describe it in one or two sentences? Frances: Deafening is about one woman’s journey from childhood to adulthood, coping with deafness during an earlier period – the early 1900s. The story is about sound and silence, love and war. Above all it is about language and how we communicate. Hearing people tell me, after reading this book, that they had never before considered deafness, that the book has given them insight into the many detailed situations Deaf people encounter in the larger world. Deaf people have told me that the experiences resonate with them and bring back their own experiences. Pieter: Is there something you learned yourself about deafness and being Deaf while doing the research for the book? Frances: Oh, my goodness, I have learned so much. This was a life-changing journey for me and the journey has not yet ended. I have deep respect and admiration for how Deaf people conduct their lives. I have learned a new language. I have been given (by the Deaf people I met and encountered and who have become my friends, along with several interpreters who are good friends) the enormous gift of understanding, which has enlarged my own world. Writing and researching Deafening took six long years. I loved every single moment of that time. Frances Itani/ Pieter Verstraete (2017): Deaf history and the art of writing novels. In: Public Disability History 2 (2017) 18. 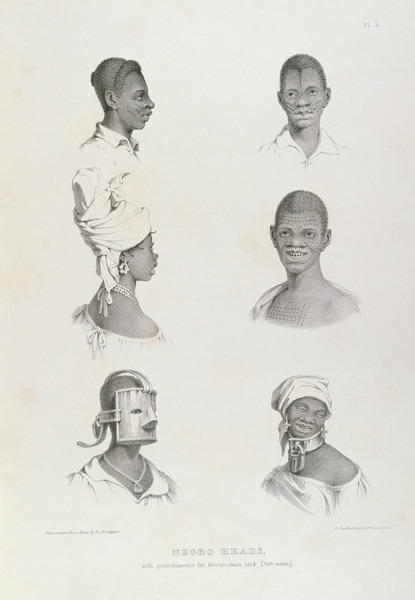 Historians of slavery must often contend with how the power imbalances of the slave system continue to shape the archival record, and, more importantly, influence the types of stories that get told. I certainly found this to be the case when writing my first book, Medicalizing Blackness: Making Racial Difference in the Atlantic World, 1780-1840 (University of North Carolina Press 2017). I felt overwhelmed as I weighed the written correspondence, published medical treatises, military records, and plantation records, medical lectures etc. by white physicians, military officers, colonial elites, and slave owners, against the dearth of written sources left behind by enslaved and free black people. Thus, it was a great challenge to construct a narrative using sources whose faithfulness in accounting for black people’s experiences in sickness and health were tenuous to say the least.